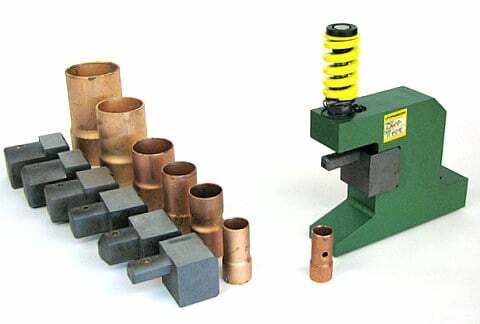 For dimple-free holes in tube or pipe, UniPunch provides custom mandrel style hole punching units. 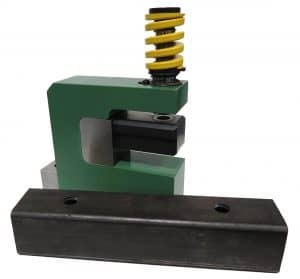 Mandrel punching units are offered for round, square or rectangle tubing or pipe for producing round holes, shaped holes in single or multiple hole configurations. 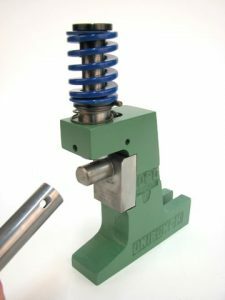 Due to the style variations, Shut Heights and Die Heights are determined by individual mandrel unit designs. 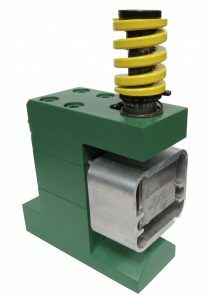 Interchangeable mandrels are also available depending on the individual application. For a prompt quotation, please send UniPunch a detailed drawing or sketch including tube or pipe diameter, hole size and hole location.